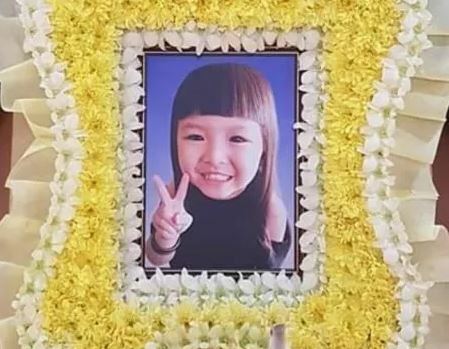 A five-year-old girl was killed after she was run over by a school van right after alighting in front of her grandmother's house in Johor Bahru. Janiss Yeoh Zi Xuan died of severe head injuries in the accident which occurred on Wednesday (Oct 24) at Taman Tun Aminah, reported The Star. According to reports, the girl had run in front of the vehicle after she was dropped off that day. The driver rushed the girl to a nearby clinic before she was transferred to Hospital Sultanah Aminah, but she died soon after. Sin Chew Daily reported that the girl's primary caregiver is her 70-year-old grandmother, as her mother is working in Singapore. The grandmother tearfully told reporters in an interview that she had cautioned the driver several times not to drop Janiss off on the other side of the road. She added that the driver would usually wait for the girl to reach the house before driving off, but was unsure why she did not do so on Wednesday. The Chinese daily added that the driver had run over the girl twice in her panic. CCTV footage showed that after exiting the van to survey the situation, the driver ran to the house to call for help. She then returned to the vehicle and reversed, causing the wheels to go over the girl again, said the report. A police spokesperson said the 48-year-old female driver has been arrested to assist in investigations. Five other children were in the van at the time but they were unharmed.